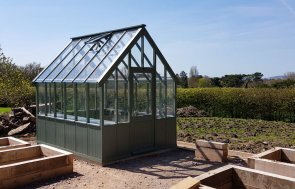 This Timber Greenhouse is 2.4 x 3.0m, and it has been installed in our customer’s garden in Welshpool, Powys to help them create a kitchen garden. The slatted benches are optional with our Greenhouses, as it completely depends on what kind of plants you are planning to grow inside. For this customer, they are planning on growing small, potted herbs and vegetables, so they chose to have two benches. A clean, bright colour, the customer chose Ivory from our Valtti paint range for the Greenhouse, which also covers the benches to match. A steep pitch on the roof will allow the sun rays to penetrate the glazing easily, and there are two temperature controlled, automatic vents in the roof that open to allow fresh air inside when required. 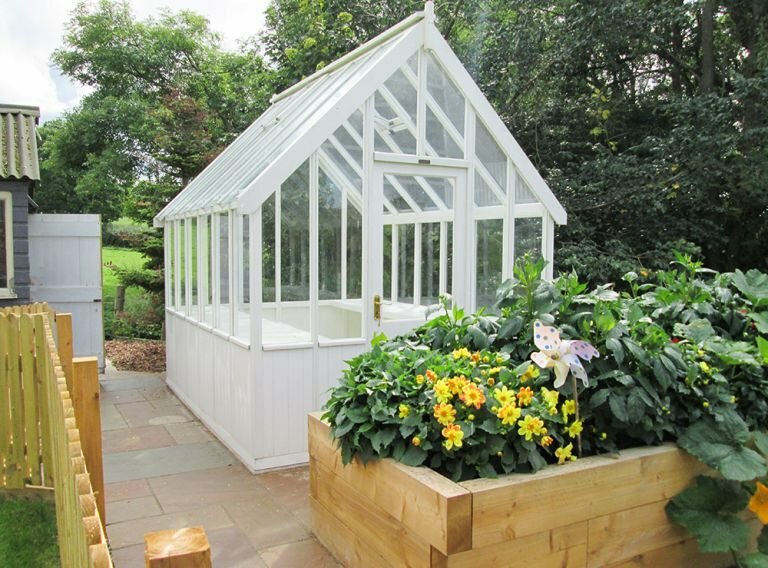 Our Greenhouses are traditional and elegant in their design, and having timber as their structure only adds to this antiquated feel. All our garden buildings are hand-crafted using timber sourced from our partner mill in North Sweden, ensuring longevity and a high-quality finish. 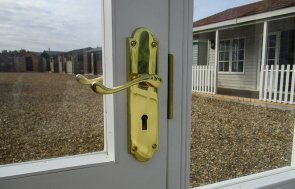 You can view examples of all our garden buildings at one of our showsites across the UK. There you can get a real feel for the luxury of the brand and gain inspiration in order to make your decision. Should you wish to continue browsing online, you can do so by clicking the link below.